One of the oldest and internationally loved games across the world, football (or soccer) is the most watched and played sport in the world, with an estimated 3.5 Billion viewers/fans across the planet. Football is entertaining by itself, but lets face it: football betting makes the sport ten times more exciting! The owners of OnlineGambling are huge football fans, particularly English Premier League (one Arsenal fan, one Chelsea… poor soul) and we have put together a comprehensive guide on football betting for other fans of the sport. If there’s a particular section you’re looking for, then check our nav section below. Clicking any of the links will bring you to that part of this article. There are several ways to bet on football matches, all of which we cover below. The aim is to make you aware of the most profitable betting type for your chosen matchup – you might think that betting straight up on a favorite is not worth it, but an accumulator or goal-scorer could present favorable chances of a big payout. Match odds betting in football is when you bet on the money line. It’s as simple as picking which team is going to win the game. The odds are shown in the form of a number greater than 100, and it can be either positive (+) or negative(-). The favorite in any match has a negative money line (-), and the underdog has a positive one (+). For example, the money line for a slight favorite in a football match might be -110. That means betting £110 is needed to make a profit of £100. A money line for a favorite would be like -230, meaning you have to bet £230 to earn the same £100 profit. Underdogs work the same but in reverse, a money line of +120 means that you would win £120 if you bet £100, and so on. If the match is supposed to be a close one, then it is sometimes possible for both teams to have a positive or a negative money line, like +105 or -103. In a lot of case, especially with European bookmakers, odds are displayed as decimals instead of whole numbers. This simply means the amount your bet is multipled by if you win. Football moneyline betting is different from NFL and UFC money line bets because the sport introduces a third betting option: the draw. The very nature of soccer means that games often end in a draw – it’s not uncommon for both teams to score in the first 10 minutes and for the rest of the game to go goalless. Betting on the draw can pay off, however, as the payoff is often higher then favourite or underdog bets. Keep in mind that having the presence of the draw does mean that you have a one-in-three chance of being right with your moneyline bet. 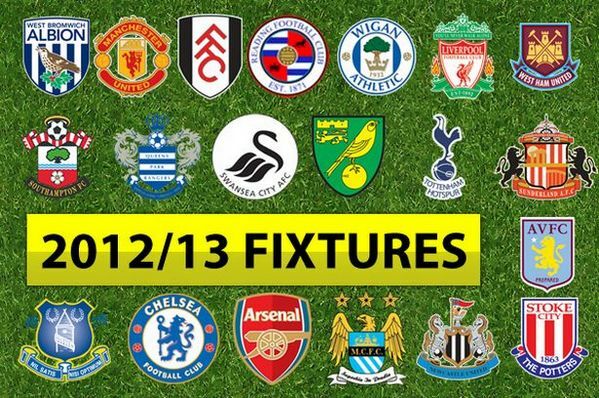 This is simply choosing which team will win the match or correctly predicting that the game will be a draw. Money line bets (above) are the simplest form of straight bets. A multiple/parlay/combo bet is a combination of two predictions, both must be correct in order for you to win. Doubles and trebles are the most common types of multiples. This is a multiple bet made up of two predictions, both must be correct for you to win. As an example, lets say you place a £100 double bet on Manchester United & Arsenal to win. Like the double & treble multiples above, an accumulator bet is simply a 4 or more multiple bet. Bet on what the final match score will be at the end of 90 minutes (regular game time), does not include extra time. Guess who (which team) will score the first goal of the match. Bet on the outcome of the match after 45 minutes of play (at half time), choose from home win, away win or draw. Bet on the match score at half time and then at full time, home win, away win or draw are the options for both. 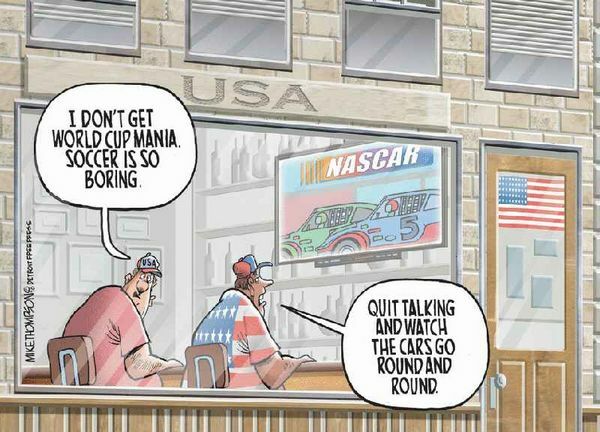 Both bets must be correct to win. Just like a straight bet, you choose which team will win with a draw no bet. If neither team win and the game ends in a draw, your stake is refunded. Choose which player on the field will score the first goal of the match. You can select any player from either team to bet on. Choose which player on the field will score the last goal of the match. Choose which player on the field will score anytime during the match. Pick who will score first and the final score of the match after 90 minutes (extra time does not count). Both bets must be correct in a scorecast to win. Pre-kickoff, how many times have you backed or betted on a football match, believing that one team or another is a ‘certainty’, only to see things unfold very differently then you imagined throughout the game. In-Play bookmakers allow you to use your football knowledge as an advantage, by being able to watch a part of the game before placing your bet. Live in play betting is popular due to the fact that if your original bet on a match has lost early on, say you predicted a 2-0 win and the game is 1-1 or your first goalscorer selection failed to score the opener, than you can logon to an online bookmaker that offers live betting, and make another wager. The most popular Live Football betting types are in play final score betting and next goalscorer live betting. OnlineGambling.co recommends Bet365.com as the #1 online in-play football betting operator, besides winning numerous industry awards, their website has a beautiful In-Play console that will impress the most experienced bettor, and their live football stream service is second to none. The wall street journal recently reported that between 2008 and 2011, the percentage of worldwide adults who accessed the Internet from PCs daily grew to 62% from 54%. In the same period, the percentage of daily mobile Internet users rocketed to 26% from 4%. There’s no question, mobile phones and access to the internet while on-the-go is revolutionizing how we bet on the sports we love. Instead of heading to your local betting shop or pub bookie to bet on your favorite footie team, you can now hop on your mobile and place a bet in minutes. So if you have an Apple iphone, Android, Nokia Ovi, or Blackberry smartphone – you can download apps from betting operators and gain access to a huge range of sports, betting markets and odds. Combining mobile betting with access to in-play betting markets is the real sweet spot. 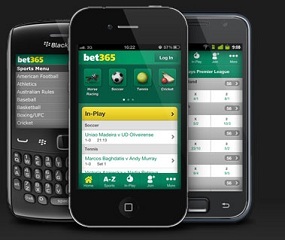 www.Bet365.com, our #1 reccomended mobile betting operator offers both mobile and in-play betting, alongside excellent mobile deposit and withdrawal interfaces. For those who sign up via their mobile device, Bet365 are offering a 100% deposit bonus up to €50. For more information on Bet365, read our full review. Bet365 is the world’s most popular site for football (soccer) betting. Whether you’re looking for action on domestic, European or International football, they have you covered with odds on English Premier League, Spanish La Liga, Italian Serie A, German Bundesliga, the UEFA Champions League, and dozens of other leagues and competitions. While they are known primarily as a recreational sportsbook, many professional punters understand that more times than not, their football odds are far better than their competitors. While this is a bold statement, I’ll soon back it up by proving how they routinely offer better football odds than other leading low VIG bookies such as Pinnacle Sports and Betfair. What you need to understand at Bet365.com is their promotions. For starters, if you’ve never had an account, a 100% up to £200 sign-up bonus is available and you’ll get an additional £50 bonus when making your first mobile bet. While it’s rare for European bookmakers to offer generous bonuses, the bonuses are just icing on the cake; the real advantage to Bet365 is their promotions. First Goalscorer Unlimited Chances: At Bet365 wagers on first goalscores remain live when another player scores first. How it works: if the player you backed scores at any other time during 90-minutes of play, your bet will be graded a win at 1/3 odds. This is quite impressive considering this bet would be a loss at all other bookmakers. Bore Draw Promotion: The most significant football promotion is their Bore Draw Promotion. How this works is no matter what league you wagered, when the game ends in a 0-0 draw all pre-match wagers on correct score, half-time/full-time and scorecast are refunded. The value of the Bore Draw promotion is often over looked when shopping betting odds. At the time I wrote the original draft of this article (late January 2011) early odds were out for the Europa League matches. I’ll go ahead and use the (17-Feb-2011) Europa League Match between Rubin Kazan and FC Twente Enschede as an example. I’m looking to back Rubin Kazan, and after shopping the odds I’ve found better at Pinnacle Sports where Rubin Kazan is available at 1.917. As an experienced bettor I know off hand that 1.83 at Bet365 is better than 1.917 at Pinnacle due to the Bore Draw promotion. Of course the fact that two of Rubin Kazan’s last eight games ended a 0-0 tie, and that there is a low projected total (under 2.5 only paying 1.66) makes this a no-brainer, but let me take you through the math as an example. Once you understand the math you can apply it to other football matches too. The first step in calculating the value of the Bore Draw is to remove vig from the odds on full time results. To do this we start at our Odds Converter plug in the odds and find required break even percentages (implied probabilities) for each option. After doing this I came up with the following. Rubin Kazan at odds 1.83 = 54.64% required break even percentage. Draw at odds 3.30 = 30.30% required break even percentage. FC Twente at odds 4.00 =25.00% required break even percentage. Adding these all together, the sum is 109.94%. The reason it is over 100% is the vig (juice) which is how bookmakers make their profits. To remove vig we simply divide each teams required break even percentage by 109.94%. Rubin Kazan 54.64%/109.94% = 49.70% no-vig win probability. Draw 30.30%/109.94% = 27.56% no vig win probability. FC Twente 25.00%/109.94% = 22.74% no vig win probability. Adding the win probabilities together you’ll see they now equal 100%. Vig is now removed and we know Bet365 odds makers have the true chances of a draw at 27.56%. 0-0 at 9.00 =11.11% required break even percentage. 1-1 at 6.50 =15.38% required break even percentage. 2-2 at 17.00 =5.88% required break even percentage. 3-3 at 67.00 =1.49% required break even percentage. 4-4 at 501.00 =0.20% required break even percentage. These total 34.06%. Remember the odds of a draw however are 27.56%. To calculate the markup we take 34.06/27.56 and get 1.236. Let’s now divide each required break even rate by 1.236. 0-0 at 11.11/1.236 = a 8.99% no-vig win probability. 1-1 at 15.38/1.236 = a 12.44% no-vig win probability. 2-2 at 5.88/1.236= a 4.76% no-vig win probability. 3-3 at 1.49/1.236= a 1.21% no-vig win probability. 4-4 at 0.20/1.236= a 12.44% no-vig win probability. Add these together and you’ll see they equal 27.56%. This is the same figure we calculated the Bet365 line setters have the probability of a draw at. With the math checking out, we’ve determined there is an 8.99% chance the match between Rubin Kazan and FC Twente Enschede ends in a 0-0 tie. To calculate whether Pinnacle’s odds of 1.917 or Bet365’s odds of 1.83 are better let’s go back to our no-vig win probability calculated earlier of 49.7% for Rubin Kazan. For demonstration purposes we’ll use a £50 stake. 50.3% of the time we lose £50.00 = (£25.15) expected. Our expectation is negative £2.26. 49.7% of the time we profit £41.50 = £20.63 expected. 8.99% of the time we break even = £0 expected. Our expectation is negative £0.03. As you can now see even though Pinnacle has odds of 1.917, thanks to the Bore Draw refund the 1.83 odds at Bet365.com are far superior for this match up. If you’re thinking they won’t beat the odds at Betfair, think again. Let’s say at Betfair we’re a large trader with a 40% discount rate, and we’re well funded not needing to worry about transaction charges. Through a series of backs and lays we get Rubin Kazan at the no-vig 49.70%, which in European odds is 2.012. If we win this bet at a £50 stake our profit before commission is £50.60. To calculate our commission £50.60 x 5% x (1-40%) = £1.52. This means our actual profit is £50.60-£1.52 which equals £49.08. To put this back into European odds format, take the amount a winning bet would pay (£50 stake + £49.06 profit) and divide it by stake. Here we see 99.06/50= 1.9812 which are our odds in European format. Our expectation is negative £0.77. We used best case scenario, getting the no-vig market odds at Betfair and applying a generous 40% discount rate off the 5% market base rate, and even so our expected value is significantly better at Bet365. Below are the best all-around online bookmakers for football betting. All have good reputations for financial security, keeping player funds safe, and excellent customer support. Tons of specialty, prop and live betting options for football matches in all the major leagues. 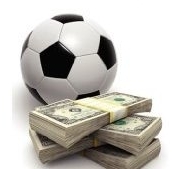 Another great football betting site, with some great free bet offers. Also cover all the Asian football leagues. As a professional sports bettor I’ve found the only two accounts required to get the best odds on football (soccer) a whopping 91.8% of the time are Bet365 and Pinnacle Sports. The times to skip Bet365 and go to Pinnacle are matches where over 2.5 goals is offered at 2.00 or less and Pinnacle has significantly better odds. Keep in mind the lower number of goals projected the more value the Bore Draw Promotion has. This article is one of the many we have here at Online Gambling profitable betting strategy. As you might imagine, teaching gamblers to win while asking little in return isn’t exactly a high paying business model. For that reason, if you enjoy our content and find it valuable we’d appreciate your support. Anything from mentioning OnlineGambling.co on a forum, blog, a Facebook “like”, or joining a sportsbook that we promote would all be greatly appreciated. We wish you the best of luck applying this and other betting strategies covered here at onlinegambling.co.